• What is the difference between a “funeral” and a “memorial service”? • Whom do I call in the event of a death? • What is a death certificate? • How much does a casket cost? • If we choose cremation, can we still have a visitation and funeral? • If we choose cremation, do we still need to buy a casket? • Can I pay for my funeral ahead of time? What is the difference between a “funeral” and a “memorial service”? 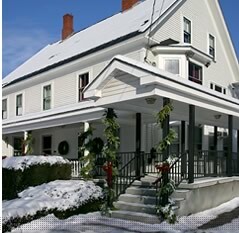 When a death occurs at home, in a hospital, or in a nursing home, call the funeral home that will be in charge. We will assist you in making all the necessary arrangements. obtain death certificates for you. most often are satin, crepe, and velvet. 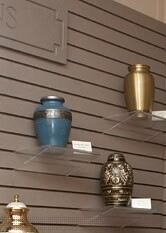 purchase a casket or we offer an oak rental casket with a cremation liner. the trust. We do not charge for this service. Copyright © 2005 Furber & White, All Rights Reserved.